With an assured maturity and vocal confidence far beyond her years, the young singer Jazzmeia Horn arrives with her debut recording A Social Call, an album that reveals a talent ready to take its place alongside the best headlining jazz vocalists of today. Released in May 2017 via Prestige, a division of Concord Music Group, its ten tracks—performed with an all-star acoustic jazz lineup—bristle with a bracing sense of clarity: clarity in Horn’s voice (itself a strong and remarkably supple instrument); clarity in the heady range of vocal legends who have shaped her (from Sarah Vaughan to Rachelle Ferrell); and clarity in the vital message of social uplift and the glowing optimism she conveys through her music. Horn’s marriage of music and message suffuses the variety of selections on A Social Call: fresh takes of evergreen standards (“East of the Sun (West of the Moon)”, “I Remember You”), hard bop anthems (“Afro-Blue,” “Moanin’”), songs of spiritual intent (“Wade in the Water,” “Lift Every Voice and Song”), a couple of melodies associated with another singer of personal influence, Betty Carter (“Tight,” “Social Call”) and R&B; nuggets popularized by the likes of Mary J. Blige and the Stylistics (“I’m Goin’ Down,” “People Make the World Go Round”). Some tunes are woven into medleys with Horn first sermonizing on issues of common concern, giving A Social Call the feel of an intimate, live performance. 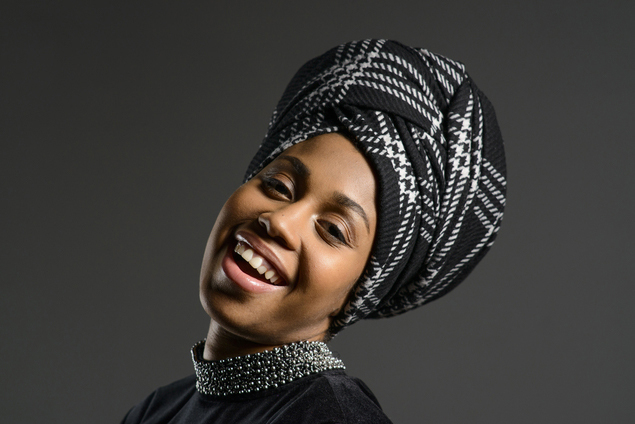 For more information, visit www.theartistryofjazzhorn.com.